A great mix of fibres for a year-round quality. 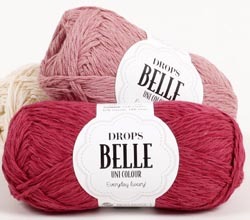 The softness of cotton, the drape of linen, and a hint of shine from the viscose makes this a special yarn. For free patterns for Belle, visit www.garnstudio.com.